Malinda hasn't connected with her friends on Goodreads, yet. Hi Goodreads! I've only created this profile to claim my name here, and I don't check messages here or add friends. I invite you to follow me on Twitter or Tumblr if you want to chat, or visit my website at malindalo.com. BIO: Malinda Lo is the author of several young adult novels including the sci-fi thriller Adaptation; the sequel, Inheritance, will be published Sept. 24, 2013. Her first novel, Ash, a retelling of Cinderella with a lesbian twist, was a finalist for the William C. Morris YA Debut Award, the Andre Norton Award, and the Lambda Literary Award. Her novel Huntress was an ALA Best Book for Young Adults and a finalist for the Lambda Literary Award. Malinda is co-founder with Cindy Pon of Diversity in YA (diversityinya.tumblr.com), Hi Goodreads! I've only created this profile to claim my name here, and I don't check messages here or add friends. I invite you to follow me on Twitter or Tumblr if you want to chat, or visit my website at malindalo.com. 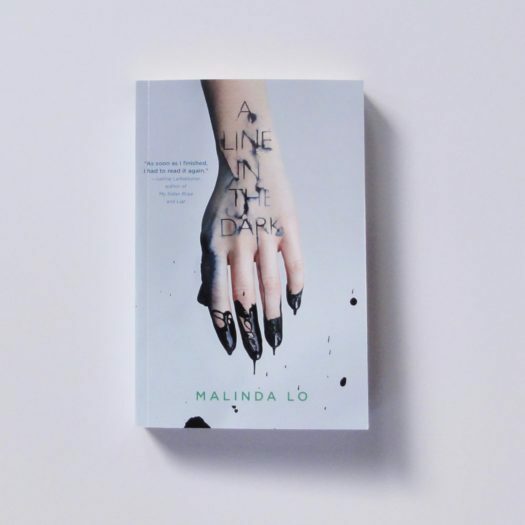 It’s only mid-March but mentally I’m already all the way in October because this week I received the advance review copies of A Line in the Dark. Lookie! Please cast your vote for the November Book of the Month!